A man from Yate has been ordered to pay a total of £720 in fines and costs after he admitted to carrying waste without the required paperwork. Connie Hegarty, 34, of Badminton Road, Yate, appeared before Bristol Magistrates’ Court on Friday 14 October. 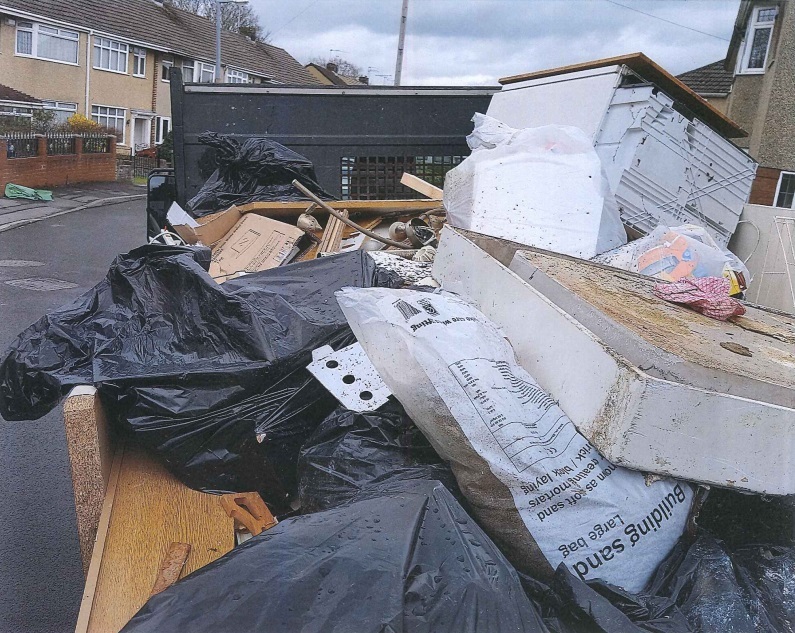 He pleaded guilty to not having a Waste Transfer Note or a Registered Waste Carriers Licence and was fined £120 and ordered to pay costs of £600. The court heard that on Thursday 7 April 2016 a flatbed lorry carrying waste was stopped by Avon & Somerset Police as it travelled along Wedgewood Road, in Downend, South Gloucestershire. The driver and his companion admitted being paid to remove waste, but that they did not have the required paperwork in order to do so legally. South Gloucestershire Council’s Environment and Community Services Committee Chair Cllr Heather Goddard said: “The prosecution came about as a result of multi-agency working. Hegarty’s vehicle was initially stopped by the police and the evidence was then forwarded on to South Gloucestershire Council’s environmental protection team.